Are you looking for specific planners in order to organise particular details in your design? If you are, you've come to the right place, because here we have assembled for you a selection of special planners, arranged in clear categories. From simple wall and floor planners to complex electrical planners, you will find the right scheduler for each aspect of your perfect design. Planners can be used online or if you prefer, downloaded for free to your own computer. These planners are a great help to anyone planning the layout of a new home or making a currently useless space into a useful new living area. They help with organising the shopping list of materials so that you don't buy too much or too little of anything, assist in the planning of layouts of parquet or tiles and enable you to see exactly how the colour effects you're planning work (or don't!) before you put them up in your home. Many manufacturers and suppliers of building materials make these online planners available so that you can make sure you have enough of everything to finish the job, since in many cases ordering more later doesn't work because the later orders will be from different manufacturing batches and the colours, patterns etc often cannot be matched perfectly. 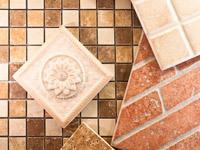 Planning the perfect layout of tiles for your floors and walls with proper transitions between the rooms is not as easy as it seems, and using a tile planner not only helps to prevent silly mistakes in real life, it gives you numbers and amounts of products needed to do the job. 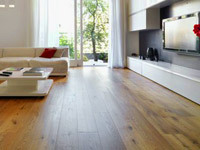 Plan the positioning of all your furniture with the correct flooring to take the weight where necessary and to look as good as possible at the same time. 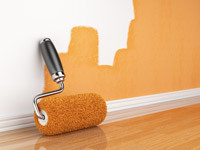 Unless you are an expert in interior design or a professional painter you won't be able to be certain that the colours you are planning to use will definitely work together until you actually see them as you plan to use them, and that's where these colour planners come into their own. 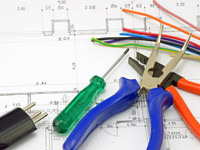 It's not easy to estimate how much electrical wiring is needed or to be sure where is the best place to put the electrical points and lighting, so make sure you have access to a specialist electrical planner that can give you all the answers. 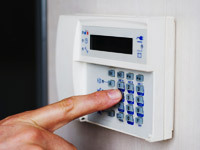 Here you will find an overview of different planners for alarm systems. Many security vendors offer a configurator for alarm systems that can be planned for the protection of your own home or business premises online. Here you will find a selection of terrace planners from different vendors. Design your oasis for the summer quickly and easily. 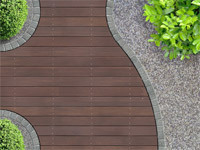 From cheap wooden floor to exclusive outdoor furniture design are almost no limits . Have you found another detail planner? Do you know of a special detail planner that isn't in our collection? If so please use the 'contact us' form to send us a link and we will test the planner and add it to our collections if it is suitable. Detailplanner5.00 out of 51 based on 2 voters.